Do you live in Copeland? Copeland is an unincorporated community located in eastern Collier County, Florida, United States. It is at the junction of State Road 29 and Janes Memorial Scenic Drive (County Road 837). 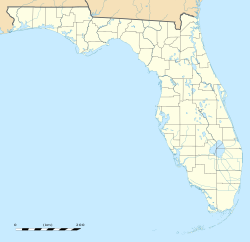 Copeland lies along the western border of the Big Cypress National Preserve, and wedged beside the Fakahatchee Strand Preserve State Park to the east. The hamlet of Jerome is a few miles to the north, while Carnestown lies a few miles to the south at the intersection of State Road 29 and U.S. Route 41. The population was estimated at 275 people in 2006. Copeland also lies within a Florida panther habitat. Copeland was founded in 1932 in honor of David Graham Copeland, a U.S. Navy engineer who helped plan the Tamiami Trail and began a family-owned farming business at this location. Copeland is part of the Naples–Marco Island Metropolitan Statistical Area. Copeland was also the location of the low-budget, 1978 horror movie, Blood Stalkers.